(Torrance, CA) DATE - Founder and President of YogaFit Beth Shaw is pleased to announce the release of her second book, “Lessons from the Mat,” that illustrates how the foundations of her many years of yoga practice as well as fundamental yoga princples are the foundations for her business life. It is also about the business of spirituality, consider it similar to Chicken Soup for the Soul but self help with a business twist. “Lessons from the Mat” will focus on topics such as: Flexibility is your greatest Survival Skill; Look for the Miracles In The Midst Of Chaos; Guard, Cultivate and connect with your Inner Warrior; Lead with a Higher Purpose & leave your yoga mat outside the office door; Silence Is Truly Golden – Stillness even more so; Conserve your energy, don’t react; Trust yourself first; Allow conflict to reveal character; Breakdown or Breakthrough; Keep an open heart always; You will always have your yoga practice; Unity in Diversity. “Lessons from the Mat” is currently available for $$ on www.yogafit.com. 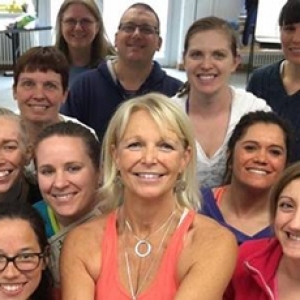 Beth Shaw, E-RYT, BS, CMT, is the President and founder of YogaFit® the leader in Mind Body Fitness education. Beth Shaw is an internationally known yoga expert and the author of Beth Shaw’s YogaFit (Human Kinetics 2009). 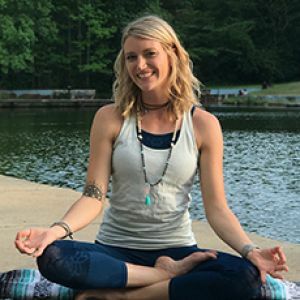 Ms. Shaw is the innovative educator, entrepreneur, and visionary not only responsible for YogaFit® but also YogaButt, YogaStrength, YogaCore, YogaLean, and countless other yoga fitness combinations. She has more than 30 DVDs and CDs on the market and is widely recognized as the premier yoga fitness trainer in the industry. Ms. Shaw has been showcased in various print and Television programs such as CNBC, CNN, NBC, CBS, E’ Style Channel, Oprah’s O magazine, Time, More, Entrepreneur and Yoga Journal. The leader in Mind Body Fitness Education, YogaFit is the largest training school for yoga instructors in the world. It was established in 1994 and has since trained over 200,000 yoga and fitness professionals worldwide. YogaFit “Mind, Body and Fitness” monthly nation-wide conferences are also open to the public to learn about correct poses, back health, losing weight with yoga and yoga for seniors and prenatal populations. YogaFit is ACE’s Premier and only yoga partner. Founder and president, Beth Shaw, is internationally recognized as the foremost authority on yoga and fitness; having been profiled in print and television programs including Oprah’s O magazine, CNN, USA Today, Entrepreneur, Self and more. Beth is the author of YogaFit, second edition, and her new book, Lessons from the Mat, is due to release in 2012. YogaFit is committed to community service, supporting animals and humanitarian causes. www.yogafit.com.